I am still on vacation and not logging into Second Life until the end of the month. I am going to take this opportunity to run some of my favorite posts from 2009 since so many readers are new. This post ran on May 20, 2009. I wrote this message to Jago and I thought i would share it with all of you. Monday was a very long day lol. 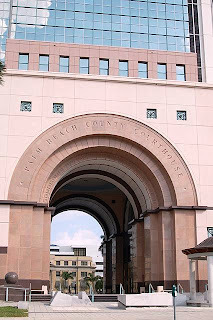 I woke up very early and had to go to jury duty selection in West Palm Beach. three days. I am not making this up. This is the actual conversation. Lawyer representing the plaintiff who is doing the suing: Do any of you think that personal injury cases such as this one do not belong in courtrooms like this? Eddi Raises his hand: Well, where ELSE do they belong? Lawyer: Well, some people object to cases like this tying up the jury system. 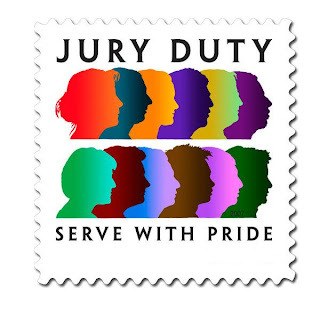 Many people resent having to do jury duty. And if you feel this way we need to know. Eddi: What does THAT have to do with it? Judge: Mr. Haskell, enough please! obnoxious thing that day for jury selection so he can go home). Lawyer representing the drunk guy: Do any of the prospective jurors feel that their decision in awarding damages in this case may be influenced by the fact that the defendant here pleaded guilty to DUI? Eddi raises his hand: Yes, me! Lawyer representing drunk guy: Well Mr. Haskell. Are you saying that you may not consider the facts clearly in this case because the defendant has admitted that he was driving under the influence? Eddi: No, I'm saying that if he hurt this guy cause he was driving drunk he needs to pay triple damages. Isn't that the law in this state? Why was he driving drunk to begin with ? Lawyer representing the drunk guy: Mr. Haskell please be quiet, I am not asking you for your opinion. Please be quiet!!!! Judge: Mr. Haskell, you are dismissed. You can leave now. Looks at Eddi as if shes ready to throw a contempt citation against him. So i was dismissed LOL. You can also get out of jury duty simply by going to law school (even if you drop out after the first year, I'm pretty sure), or at least in Canada that's the case!